What does a 47-year-old media mogul do when he hasn’t made a good album in 10 years? Jay-Z tries to answer the question on 4:44, an uncharacteristically apologetic album for a characteristically suave MC. The 13th studio album of his career, 4:44 was released as an exclusive for Sprint customers and Tidal, the boutique streaming service he bought in 2015. 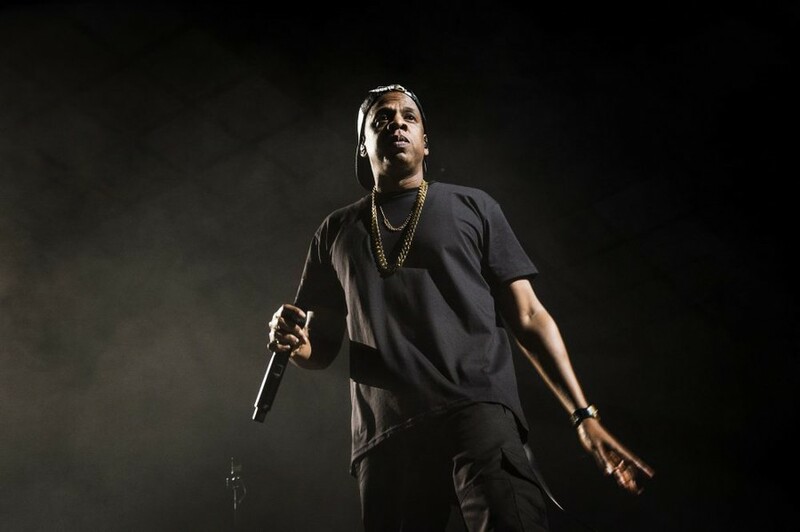 Despite a career spanning three decades and over 55 million album sales, it might be questioned what more Jay could add to hip-hop, especially after his commercially successful but aesthetically underwhelming Magna Carta Holy Grail, released in 2013. In a new age of rap where the MC-intellectual style that Jay has spent the last three decades cultivating is, at best, antiquated, 4:44 flips the script. Its stripped-down beats create an album meant to reflect, not just on the state of rap, but on the state of the man, Shawn Carter. In contrast with earlier albums, Jay-Z embraces his emotions and the complexity of black masculinity as he sees it. In the first song, “Kill Jay Z,” Jay sets the tone with an angry contemplation of his flaws as he struggles with his emotions and mortality. Jay returns to that tone throughout the album, pleading for forgiveness in in “4:44,” cursing at those who got rich over the death of Prince in “Caught Their Eyes,” and giving up on society in “Moonlight.” Where in the past Jay-Z would be bragging about selling drugs, the Jay of 4:44 implores rappers not to do the same, while still dismissing a society that faults him for making money on the streets. The second single continues the same self-reflective theme. “Smile” shines a light on stigmatization and sexuality. In the very first verse, Jay talks about his mother’s repressed sexuality and self-medication: “Mama had four kids, but she’s a lesbian/ Had to pretend so long that she’s a thespian.” This pensive Jay finds comfort in talking about being hated by white America and seeing a therapist about it: “Drug dealers and abusers, America likes me ruthless/My therapist said I relapsed/I said, ‘Perhaps I Freudian slipped in European whips.’” Jay recalls how he changed the way he dressed, and diversified his portfolio to gain wealth and acceptance. Unlike in previous albums, there is no sharp rebuttal, only an ironically repeated phrase to smile when times are hard. By far the best song on the album, produced by No I.D., is “4:44,” an ode to Beyoncé for Jay’s infidelity. We see not only Jay-Z’s apology but an emotionally taxed and weary Beyoncé: “Took for my child to be born/See through a woman’s eyes”. Maybe it is Hannah Williams’s vocals transposed up an octave to echo the rhyme scheme and screams of the lyrics, or Jay admitting his emotional immaturity (despite being a decade older than his wife), but this song—ice cold and brutal—reaches a reality that would not have been possible in an earlier album. “4:44,” with its emotive appeal and outside significance completes an album full of self-reflection and personal reassessment. The Jay-Z from Reasonable Doubt, his first studio album in 1996, wouldn’t have devoted a track to apologize for infidelity. The Jay-Z from Holy Grail wouldn’t have humbled himself from his sister-in-law Solange’s assault in an elevator. The Jay-Z from his collaborations with Kanye wouldn’t have written a song featuring his mom coming out as lesbian, bookending it with her poetic voice. This new Jay-Z has redacted and rewritten the script that got him to where he is now, charting new territory in a genre where artists typically have short careers. But maybe, as many have stated, this isn’t the end of Jay Z’s career, but the beginning of Shawn Carter’s. If that’s true, Shawn has a few more multiplatinum albums in him. And Shawn’s still a damn good rapper.